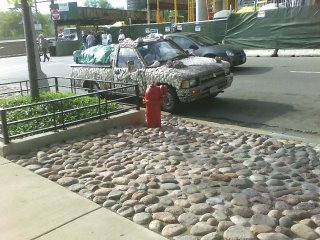 A small-frame pickup truck festooned inexplicably with large seashells. Parked outside the W Hotel at 8:00 AM. 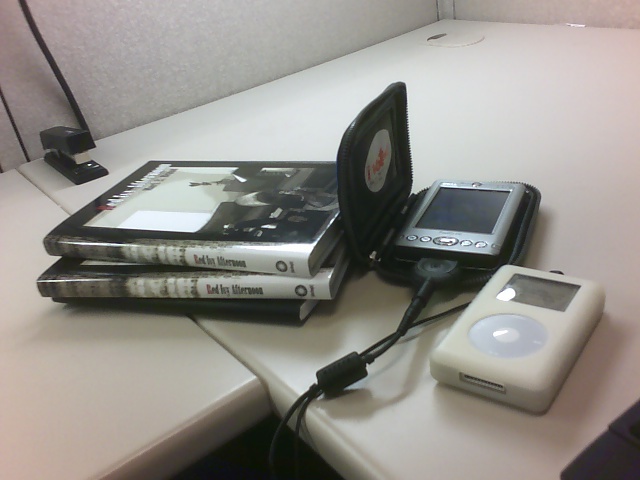 My Dell Axim, iPod, Journal... (cell phone not pictured). I'm reminded of a Zits cartoon where the mother asks the son to put away his cellphone, ipod, internet connection, etc, and just TALK to people. The son responds with something like: "Can we hurry this up, I'm uncomfortable with too little connectivity."